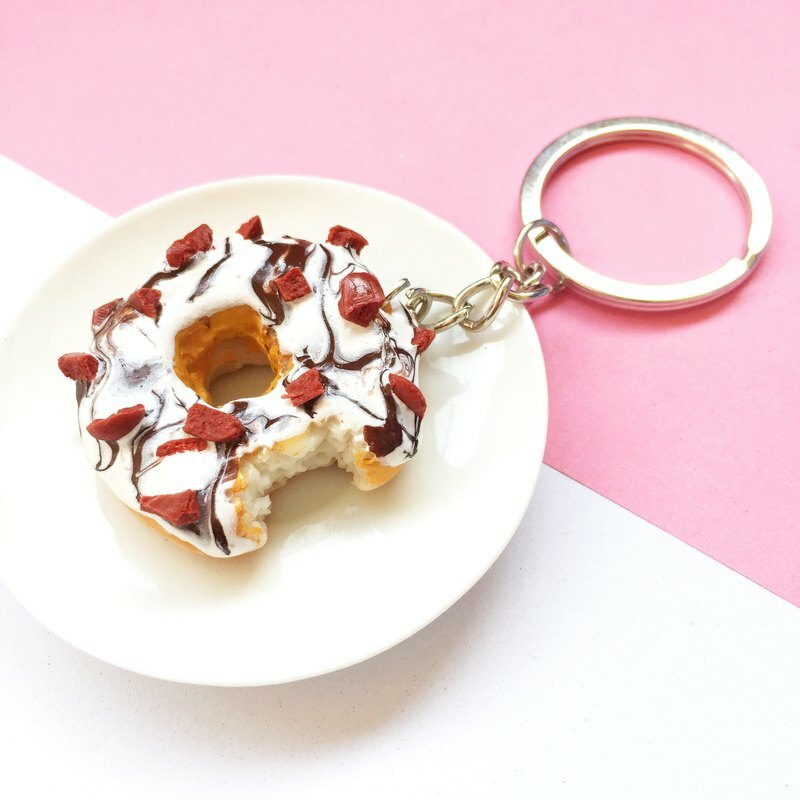 https://c2.staticflickr.com/6/5634/30527550001_799586aa99_b.jpg :: Gokudera Miniature Food Accessories :: When we say that GOKUDERA's accessories are almost too cute to eat, we are not kidding. Seriously, we're salivating over these miniature recreations of yummy treats that we all know and love so well! Handmade with Thai Clay in Thailand, these almost lifelike charms are perfect for your foodie friend. https://c2.staticflickr.com/6/5656/29981857393_56cf81a739_b.jpg :: Detail :: ♡ Material: Thai Clay ♡ Size: 4 cm :: How to take care :: ♡ Do not touch the water :: Shipping time :: ♡ 3-5 days to prepare your order. https://c2.staticflickr.com/6/5521/30261577000_0eb111289a_o.jpg https://c2.staticflickr.com/6/5684/29926933383_a8c1d2608f_b.jpg https://c2.staticflickr.com/6/5509/30443931562_430a897ae5_o.jpg https://c1.staticflickr.com/9/8663/29926934593_baebb4e8cd_b.jpg the production / manufacturing methods Handmade Made in Thailand.